Do you enjoy running Android-x86 on computer like I do? The apps is what it makes Android Operating System fun and interesting to use. We can either install new apps via Google Play Store/Android Market or Android Debug Bridge (adb) locally with Ethernet network. Setup Android-x86 in VirtualBox and starts it. 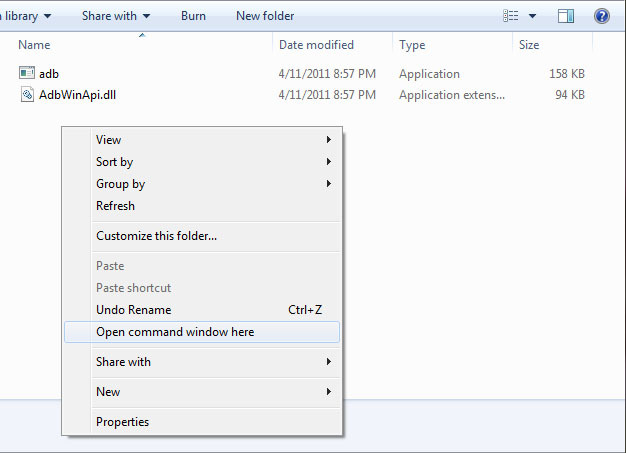 Press and hold shift key + right click on the adb tool folder, click "Open command window here". 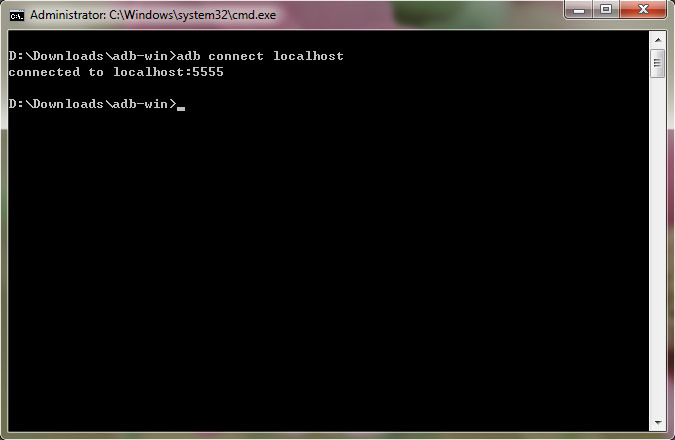 Type adb connect localhost in the command window. 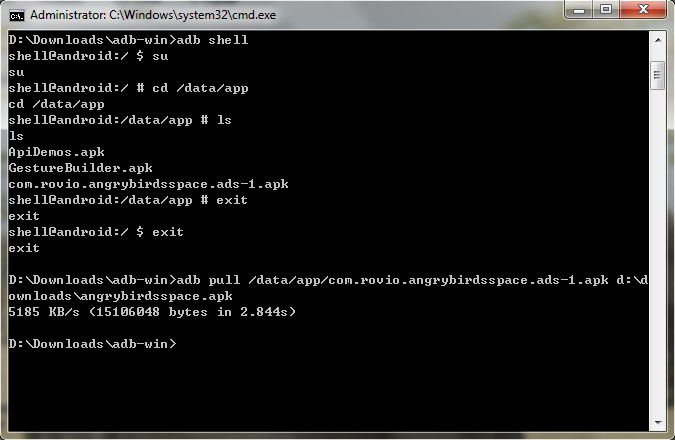 Type adb shell to enter shell mode. If you get "error: more than one device or emulator" message, read HERE how to overcome it. Enter cd /system/app to look for system applications. Or, enter cd /data/app to locate user applications. Enter ls to view the list of files. After you know the APK filename, type exit to exit root. Type exit again to exit shell. It's extremely useful to copy any particular app from Android to our computer, especially for the exclusive apps like S Voice for Samsung Galaxy S3. Then we can install and use the exclusive apps on other Android devices with the APK app file we extracted.